Little is known of the early history of this small instrument. 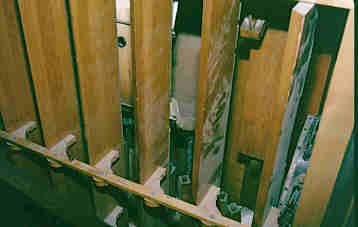 A single-manual, two-rank Style 20 Fotoplayer was installed in the Mechanics' Institute in the town of Goolwa, at the mouth of the Murray River, sometime around 1918. It was used to accompany silent picture shows until the late 1920s. It was then placed in a store room, where it was locked away and forgotten for over fifty years. It the mid-1970s, it was discovered, and fortunately was acquired by Mr Barclay Wright who moved it to his Master-touch Piano Roll factory in Petersham, NSW, where it stood close to the much rebuilt Fotoplayer from the Seaview Theatre, Glenelg. 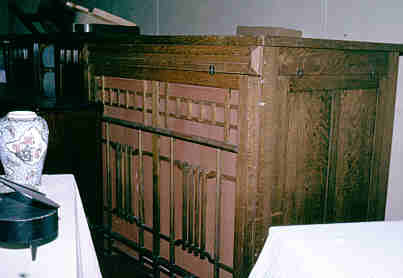 Although the instrument was complete and totally original, it was not restored to playing order at that time. 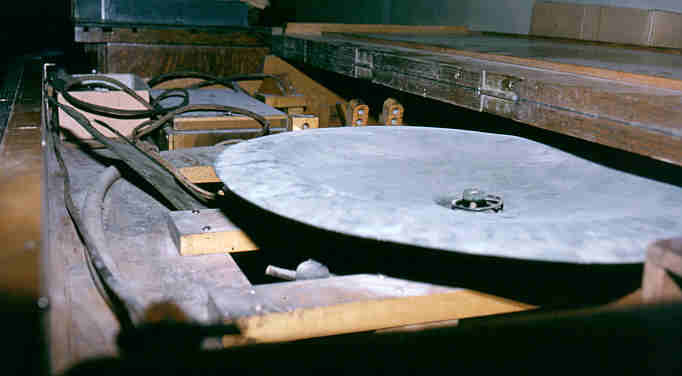 It was presented in 1984 by Mr Wright to the Powerhouse Museum in Sydney, where it was fully restored, and can be heard daily performing its original task of accompanying silent films. It is of particular interest in that it is the only operative photoplayer in Australia, and is entirely original[Details recounted by Ms Tamsyn Taylor, Powerhouse Museum, Sydney, September, 1992]. The author spent some time in 1992 examining the instrument with its organist, Ms Tamsyn Taylor, who put it through its paces with several "Picturolls" containing mood music specially cut for use with silent films. As a part of the nation's heritage, it is a real treasure, as it authentically recreates sounds from the early days of Australian cinema. The instrument's two ranks are a wooden Flute and a metal Violin. The Violin is available at 8ft. (Violon Cello) and 4ft. (Violina) pitches, the Flute at 8ft. There are stops also for Doorbell, Thunder, Castanets, Piano Muffler, Snare Drum, Tambourine and Tremolo, in addition to eight pull-cords for drums/effects, four piano-type lever pedals, and a knee-swell [Noted by author, September, 1992].